FCA will offer 2019-MY incentives on 28 vehicles, including its pair of Ram 1500 pickups. 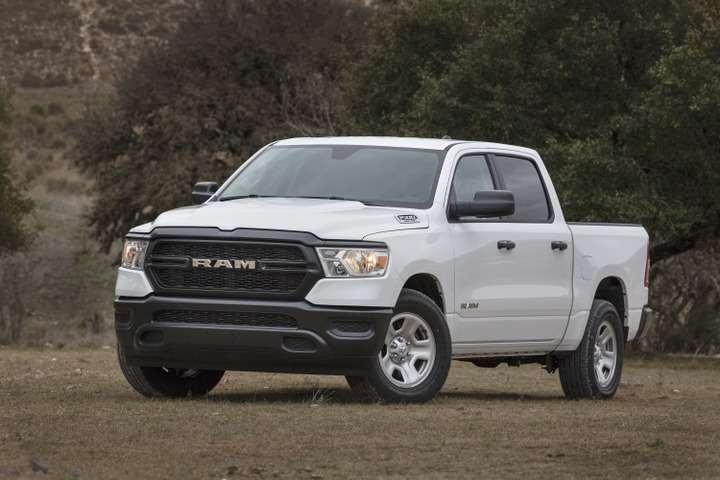 With the introduction of the 2019 Ram 1500, FCA is offering the 15th generation pickup alongside the existing model. FCA will offer a $1,500 incentive on the 2019 model, which will be offered in Quad and crew cabs. The existing model will be sold as the Classic pickup with $3,000 for the regular cab and $3,500 for the Quad and crew cabs. Other Ram incentives include $3,000 for the Ram 2500 for all cabs, $3,000 for the Ram 3500 for all cabs, and $3,000 for the 3500/4500/5500 chassis cab trucks. The 2500 and 3500 will be sold as part of an extended 2018 model year. FCA will offer $2,500 for the ProMaster full-size van and $1,500 for the ProMaster City compact van. FCA will offer five Dodge incentives, including $3,000 for the Journey, $500 for the Challenger, $2,000 for the Charger, $1,500 for the Grand Caravan, and $2,500 for the Durango (excluding SRT). The Challenger and Charger incentives don't include the R/T 392, SRT, Hellcat and Demon models. The Chrysler incentives include $1,000 for the Pacifica (including L and LX) and $2,000 for the 300. The Jeep incentives include $1,250 for the Compass, $500 for the Wrngler JL, $1,800 for the Grand Cherokee (excluding the diesel, Trackhawk, and SRT models), $500 for the Cherokee, and $1,000 for the Renegade. The Fiat incentives include $1,000 for the 500, 500L, and 500X, as well as $500 for the Spider 124 (excluding the base model).